I'm eventually back to blogging about some beauty related products and I'm really excited about it! It's actually really frustrating to not have time to blog, especially when you love blogging and I've got loads of fab new bits to blog about! 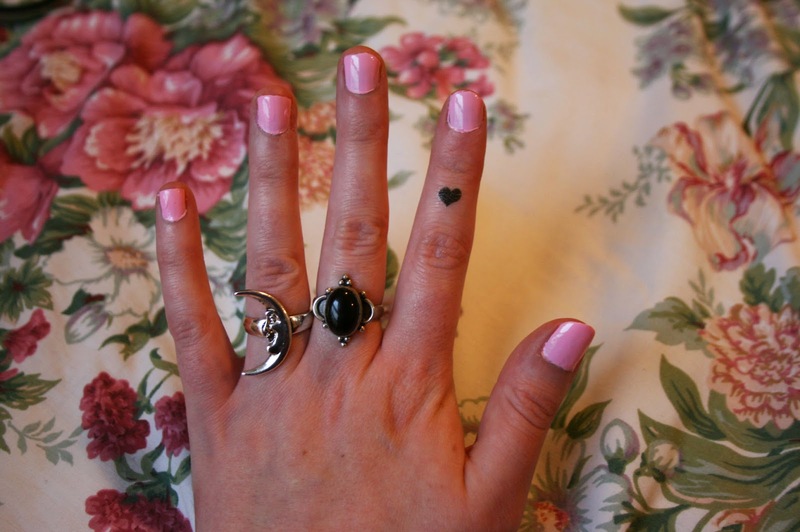 :) Today I'm gonna be talking about these nail tattoos from Fake Tattoos. I love having nice nails, but I'm not very good at nail art, so these are a fun, cheap alternative! When it comes to real tattoos too, I personally love them (I've only got one at the moment) and I plan to get loads now I've finished uni and actually have some money to spend on myself, but I think Fake Tattoos is a great idea to test out what size you would like your tattoo and positioning too, as it's a pretty permanent decision to make! 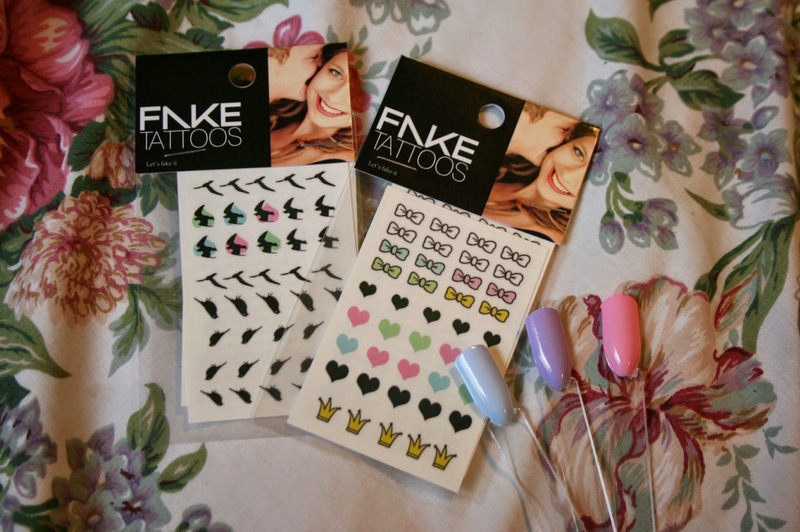 I was kindly sent these nail tattoos to try out from the lovely people over at Fake Tattoos. I didn't actually have any choice in which ones they sent to me so I think they picked pretty well to be honest - pastels and girly, very me indeed! 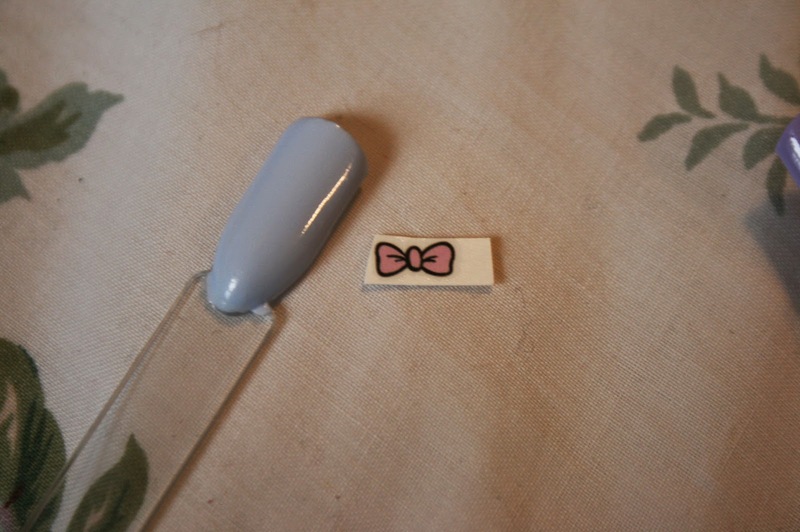 I decided to test them out with some similar pastel colour nail varnishes too. 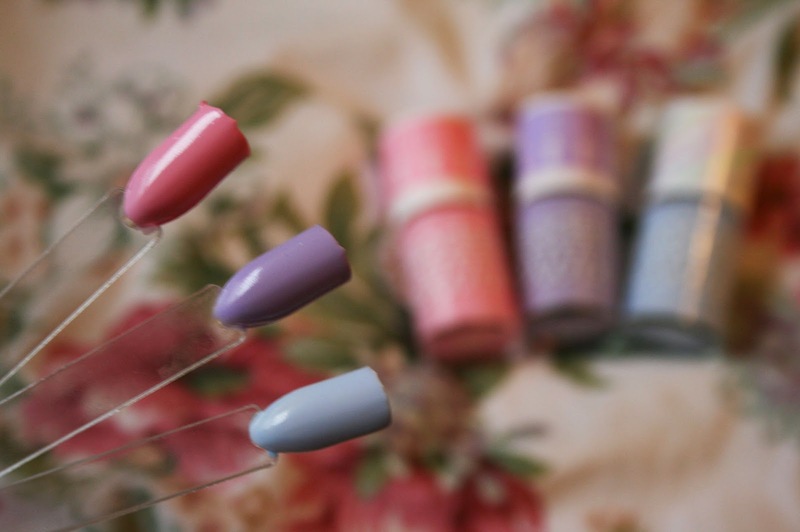 These pastel Models Own Hyper Gel nail varnishes are my current favourites at the moment, but you can read a full review of those here if you like :). They're really thick and easy to use in just one or two coats, and the colour shades are gorgeous! 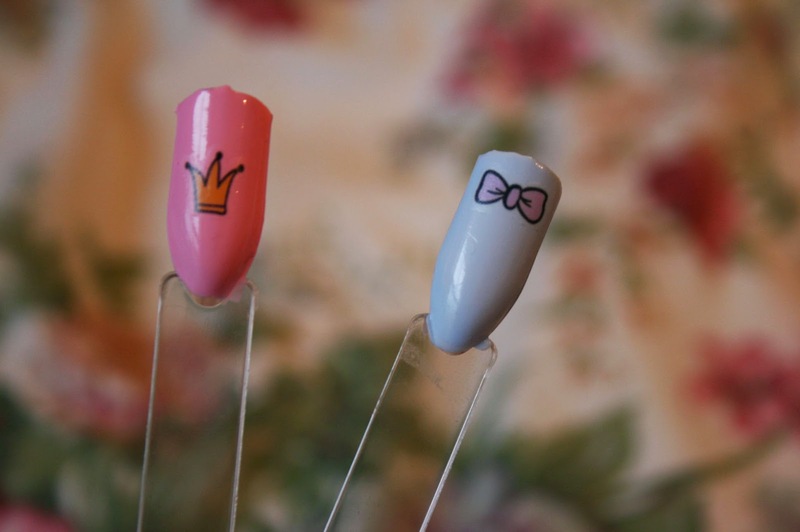 These nail tattoos are actually ridiculously easy to use. You must make sure that your nails are clean even if they're painted and then cut out the desired tattoo. Take the plastic cover away slowly and press the tattoo onto the nail using a wet tissue or cloth. When you feel that the paper backing is sliding away you can slowly remove it and let the tattoo dry. Another thing to do to ensure that the tattoo stays is to paint it with a clear top coat afterwards. The outline of the nail tattoo is almost unnoticeable once it has dried and I love how quick and easy they are to use. I'd love to try some out which have letters on so that I could spell out a word or something! They are very opaque which means that it doesn't actually matter which colour nail varnish is underneath because they will cover over any colour. You can see that I still had loads of the nail tattoos left to use for another time. 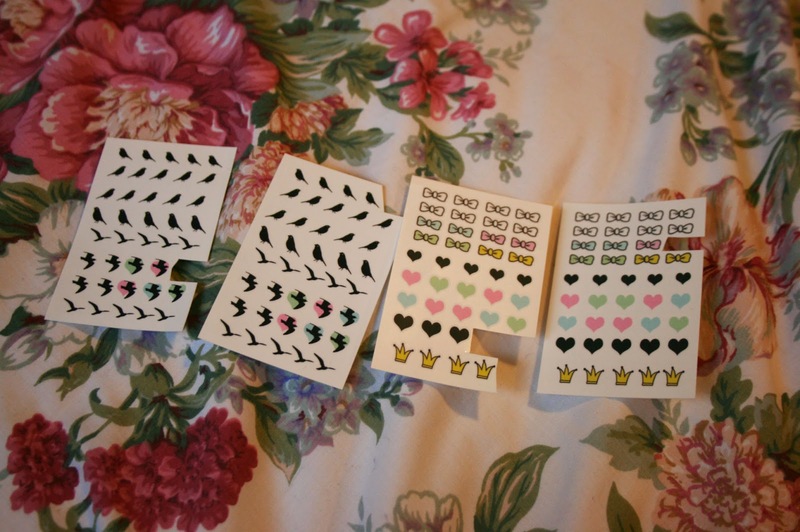 You get 82 per pack, which is two pages full of nail tattoos to choose from! I would probably only use one or two at a time on a statement nail so these are definitely going to last me for a while! 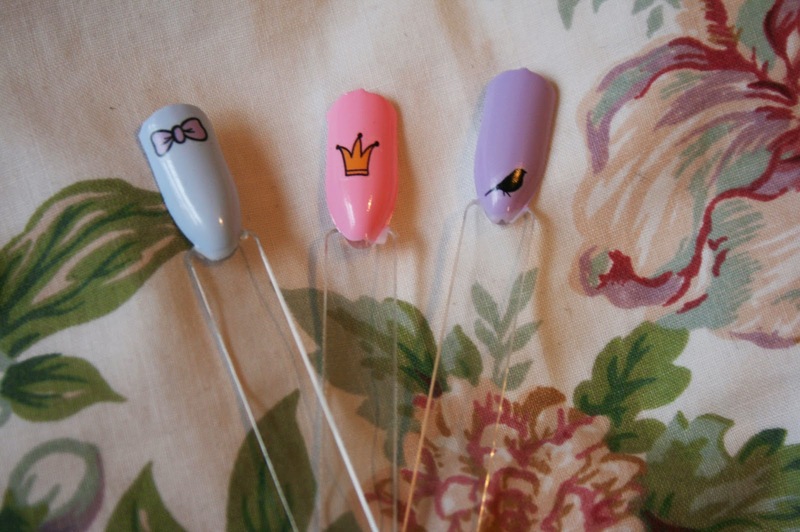 Do you like the look of these nail tattoos?